Weber, Belinda. 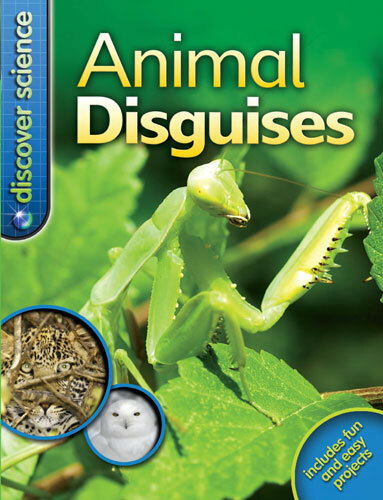 Animal Disguises. NY: Kingfisher, 2010. part of the discover science series/ includes fun and easy projects. What child (or adult) isn't fascinated by the different ways animals can hide right in sight? Photographs help the reader find the hidden animals while relatively easy reading sentences tell them about what they are seeing. Good for interested first and second graders and up. (and adults). The Nonfiction Monday collection can be found today at The Miss Rumphius Effect. Go there and click away. Former editor, Harold Underdown, tells us that he will be working with the Highlights Foundation this year in two different workshops. their experience working in-house as editors and running their Kid's Book Revisions workshop to help writers to think like editors. The workshop is limited to twelve writers: information and an application form can be found at the Highlights Foundation website. through the 23rd. This is a fantastic week with stellar faculty. Writers who are concerned about costs should know that applications for scholarships are still being accepted through February 11th. How do you get to Japan? 1. Go to Google Maps and click get directions. 2. Write USA as your start point. 3. Write Japan as your destination. 4. Go to the 31st point on your route. 5. The 46th point has the same directions. I always knew that someone at GOOGLE had a sense of humor. Well, the East Coast gets hit again with snow. Yesterday the library opened late and closed early. As per tradition, they closed the moment that it would be the most difficult to get home. "Library's closing at 5:00pm." It seemed like a logical time. Especially since a group of workers had to complete an online training program which was being offered at 4:00. But -- from 4:15 on, customers were telling us that it was now raining. That it was now sleet with rain. When we finally closed the library, we stepped out onto ice-covered sidewalks. Back we went to get the Ice-Melt. Sprinkled Ice-Melt in a path to our cars. Back we went to get our bags and off we trudged to the cars. by the time I reached the exit to the Whitemarsh bypass, it was a blizzard. And slippery. Well, I did all right. I just kept moving along at 30 miles an hour. Then 20 miles an hour. Then... well, you get the picture. Other people who gunned their cars to move away when the lights turned green ended up fish-tailing all over the road. On the other hand, I couldn't see the dotted lines, so for a while I was weaving all over the road. Finally, when I reached a pack of traffic (does traffic travel in packs? ), I was able to stay in my own lane, following the lights of the car(s) ahead. I refused to take my normal exit -- which is an uphill exit ending in a stoplight. Instead, I took the next exit which is a downhill exit leading to a smooth ride to my home. It only took an hour to drive what is usually a 25 minute trip from work to home. We got over a foot of snow -- wet, heavy snow. But most of the shoveling is done because my husband had put the snowplow onto the lawn mower and worked on plowing the driveway and the 100 foot brick walk until the snow ended later in the evening. Today, we're just doing touch-up. Our Steps leading from all 3 doors. the ends of the driveway where the city snowplows have pushed (and keep on pushing) piles of snow. The 300+ feet of sidewalk along the road. None of our trees fell. I've heard about several falling on friend's cars, already. 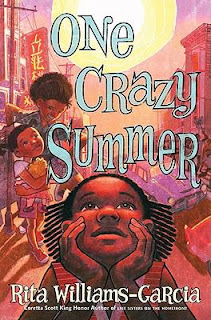 You might be interested in a new blog being set up by author, Rick Walton, called Why Read Aloud. He decided that one of the easiest way to collect stories about how being read to by your teacher affected you, or about how you reading to students has made an impact on them was to set up a blog and to let people write these stories in the comment section. Do you have a story to tell? Just click on the link above. Keeping in mind that you are giving permission for someone to eventually take the stories and create an e-book of them. you could simply point people to the blog, if they needed data about how effective this type of teaching is. Who knows, we might help change the education system back to a system that encourages people to enjoy reading. Cats vs. Dogs by Elizabeth Carney. Washington, DC: National Geographic,2011. Another National Geographic Kids series. Available now. This argument has been going on for over 9,000 years and still isn't settled. Which pet do you think is better -- Cats or Dogs? This third level reader compares them in many ways. Dogs' noses are better sniffers -- Winner = Dogs! but Cats hear more than humans or dogs -- Winner = Cats! 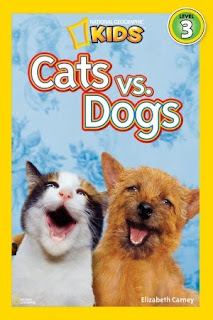 A dog and cat 'dictionary' is included which compares the same and different ways both animals communicate. Check the National Geographic website for more books in this National Geographic Readers series, the easy-to-read books for curious kids! 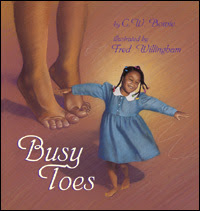 And click on over to Great Kids Books blog where you will find the roundup of all the Nonfiction Monday posts for today. It can't be Saturday already, can it? I'm home from Vermont? Yes, it seems that I am. I can't believe that Vermont weather followed me down to Maryland. Ever since I've been home, it's been below freezing -- going down into the teens at night. Actually, this freezing weather has been a good thing. My first thought was, "Oh great. I'm stopping at the bedbug capitol of the USA." Meanwhile, I'm trying to organize my notes, deciding what creative work will be in my first packet, and trying to figure out how to do a critical essay. or two. Welcome to Vermont's below zero weather. Thank heavens I have a 'neck gaiter' that is advertised to be suitable for Vermont weather. Yes, it really, truly said that on the label. And it's working well. I pull it up over my face, some days letting my nose stick out, but today keeping it over my nose as we walk from lecture hall to reading hall, to dinner, to more readings and discussions. Right now I'm cuddled in my LL Bean blanket in my room working at my laptop computer and sneaking a peek at my e-mail. I have to say that the Readings done by the people who will Graduate this Wednesday are blowing me away. Watch out world. 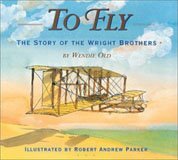 Another set of wonderful writers of children's books are flying from the nest. here I am at Vermont College of Fine Arts -- have been here a WEEK now. And all my good intentions have flown away. I intended to post every day, offering tidbits and quotes from the amazing lectures about writing children's books. What have I really done? Taken a nap every day just to keep up with everything that's been happening. It's amazing how tired you can get just sitting there, taking notes. And walking from building to building in 10 degree weather (sometimes through a snowstorm) to get to the next lecture, meeting, reading, etc. Meanwhile, there is a group of students and grads who are blogging about this Residency at Vermont College. Go visit the blog, Through the Tollbooth for your taste of all the wonderfullness here. and keep checking back, because there may be more posts about it in the weeks ahead. On another note, we were thrilled to watch the ALA awards on Monday as a group, in the presence of one of the award winners. Many of us also took time out of our busy schedule to see the Newbery and Caldecott winners appear on the Today Show Tuesday morning-- a tradition going back for decades. The Today Show has dropped that segment. Click on through to Eric Kimmel's blog to see his view of this astonishing television decision. Well, I arrived safely at Vermont College on Sunday, in a snowstorm. ALA announcements of award winners was Monday morning -- lots of Vermont College graduates won or were cited as honor books. She's a faculty member here and I was sitting three people away from her when the announcements were made. The Coretta Scott King award came as a total surprise to her. 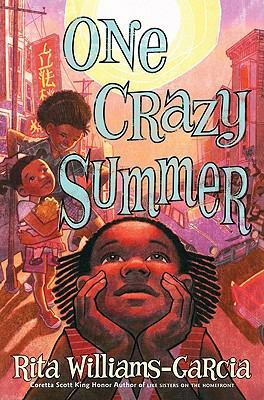 She did know about the Newbery Honor, but of course, couldn't let us know until it was announced. She and her editor have already planned all the New Orleans restaurants they'll be going to -- to EAT. My friend, Jenni Holm, (author of Babymouse) was one of the other Newbery Honor Winners. Nobody had ever heard of the book that actually won -- Moon over Manifest / Clare Vanderpool.. I'll have to read it. if you've read it, feel free to tell us about it. Sometimes you simply decide not to write a book because there's a much better one already on the shelves. While I was visiting Colonial Williamsburg last summer, I sent the girls off to explore Williamsburg with a group of kids while I stayed in the motel, writing. 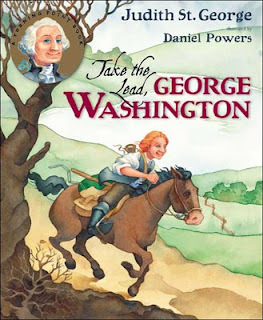 At that point I was inspired to write a picture book biography of George Washington -- young George Washington, in fact. During the fall, I did more research on the subject, including putting reserves on every picture book bio of him I could find in our library system. But when I read Take the Lead, George Washington by Judith St. George, illustrated by Daniel Powers (NY: Philomel Books, 2005), I realized that there was no way I could do any better. This book is just about perfect. Just a note: since I've already written a 128 page bio of George for Enslow that won a few awards, I've already done a lot of research into his life. Therefore, I was looking for very specific beats in his life. But even I was holding my breath as Judith St. George described his adventures in the wilderness. What exciting writing. And -- she ended this book when George was sixteen, looking ahead to more adventure. Good spot to end it. This means she didn't have to get into the wrong decisions he made during the French and Indian war and the irresponsible way he treated his mother while he was at war. Be sure to check out the other Nonfiction Monday posts at Tales from the Rushmore Kid. I'm almost ready to leave for Vermont College. Happy, Happy -- found my warm ski gloves! Leave the house before 7 am/ get to airport 7:30 am/ get on plane at 9. Will my baby enjoy reading? My daughter's having a baby. "Here's my issue--I want our child to think learning is fun, like I remember it being when I was young. (if you can remember what we did together as a child to make learning fun and easy for me, I'm all ears!)." 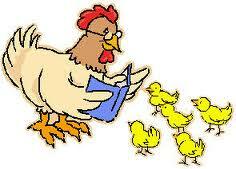 READ to your older preschooler, at least 20 minutes a day. And your baby will then read to you. At home let them play with stacking games. Use stacking toys or even your plastic storage containers. READ. Let your child see YOU reading. Let them play with rhythm instruments -- pots and pans or real ones. Take them places to explore, touch, experience sounds and sights. Outdoor concerts, art festivals, historic villages, etc. Go out in a boat, what an experience. Go camping. Do different things/ see different places. Learn swimming for fun and safety. And -- did I say, READ? 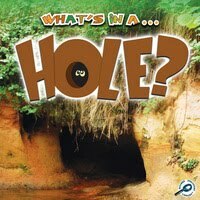 Nonfiction Monday -- What's in a ... HOLE? Simple, simple sentences accompany closeups of types of holes -- and the things that live there. Love the view on page 4 looking up at the sky through a hole in the ground! "Can you guess what's in a hole?" 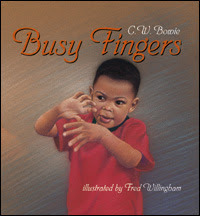 Another good addition to your easy reading nonfiction collection, suitable for K and 1st grader readers. Of course, preschoolers will enjoy it, too. 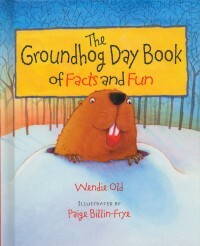 Other Nonfiction Monday messages can be found at Charlotte's Library Blog. Keep checking it all day because many links will be added as the day progresses. It took me aback for a minute. And then my friend, Rick Walton, said, " Just wait until november 11th, at 48 min and 49 sec before noon. It will be 11:11:11 11/11/11"
It's jaw-dropping-amazing that anyone was able to calculate this so closely. My writer friend, Mary Ann Dames, asked me to be a guest blogger on her Reading, Writing, and Recipes blog in December. Being so close to the end of the year, I chose to write about New Year's Eve and New Year's Day and why the heck we celebrate this. Feel free to click on over to her blog and check it out. Meanwhile, I hope your 2010 was a good one for you and that you look forward to an even better 2011.